Issue: The recalled jewellery contains lead in excess of allowable limits. What to do: Consumers should immediately take the recalled jewellery away from children and dispose of the products. 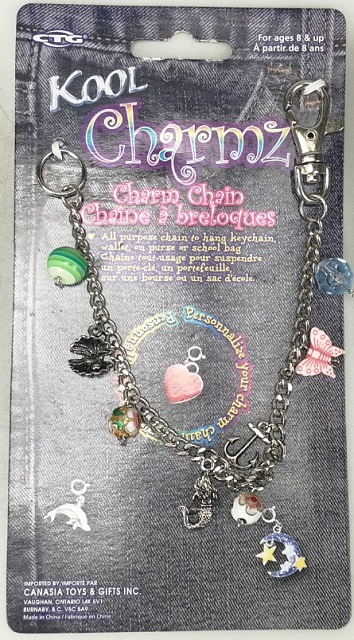 This recall involves 3 different styles of Kool Charmz metallic chains approximately 10 inches (approximately 25.3 centimetres) in length. 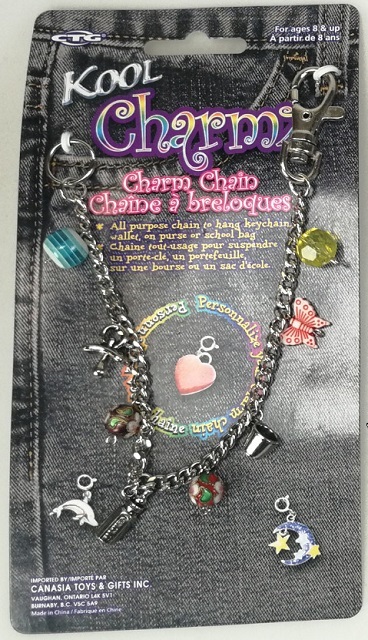 The chains come with various charms that are attached to a metallic clasp approximately 0.2 inches (0.5 centimetres) in diameter. Under the Children's Jewellery Regulations of the Canada Consumer Product Safety Act, it is illegal to import, advertise or sell jewellery items that appeal primarily to children under 15 years of age and contain more than 90 mg/kg total lead. Lead is highly toxic, especially to children. A range of serious health effects have been associated with exposure to lead and cadmium, including anemia, vomiting, diarrhea,heart and immune system. In extreme cases, there have been deaths. As of March 28, 2019, CTG Brands Inc. has received no reports of incidents in Canada, and no reports of injuries. For more information on the risks and symptoms of lead exposure and cadmium exposure, visit the Government of Canada's website page Lead and cadmium in children's jewellery. 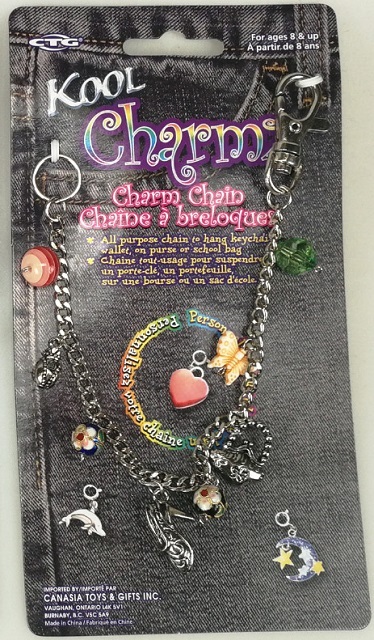 Approximately 6,823 units of the recalled children's jewellery were sold in Canada. The affected products were sold from June 2004 to March 2019. Consumers should immediately take the recalled jewellery away from children and dispose of the products. For more information, consumers may contact CTG Brands by telephone at 1-905-761-3330, from 8:30 a.m. to 5:00 p.m. EST Monday through Friday, by email or visit the company's website. This recall is also posted on the OECD Global Portal on Product Recalls website.You can visit this site for more information on other international consumer product recalls.